LAHORE: Fauji Fertiliser Bin Qasim Limited on Wednesday said the Securities and Exchange Commission of Pakistan (SECP) was giving an extension of ninety-days to Mongolia Yili Industrial Group till April 29th, 2019 for making a public offer about its proposed acquisition of 51% majority shareholding in Fauji Foods Limited. 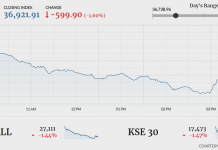 In a notification sent to the Pakistan Stock Exchange (PSX), Fauji Fertiliser Bin Qasim Limited said the public announcement of intention by Mongolia Yili Industrial Group to acquire 51% voting shares in Fauji Foods Limited was announced on 31st July and communicated to the bourse the same day. In October, Fauji Foods announced it had appointed Lazard Saudi Arabia as the lead financial advisor, Riaz Ahmad & Company, Chartered Accountants (Joint Financial advisor) and Chima & Ibrahim as the legal advisor regarding the expression of interest (Eol) received from Inner Mongolia Yili Industrial Group Co. Ltd for acquiring 51% shares of the company. At the end of July, Inner Mongolia Yili Industrial Group Co had submitted an investment intention letter to acquire a 51 percent majority stake in Fauji Foods. CitiBank had been appointed as the manager to the offer by Inner Mongolia Yili Industrial Group for this acquisition. Fauji Foods had acquired a majority shareholding in Noon Pakistan’s in March 2015 and spent Rs7 billion to overhaul its capacity from 100,000 litres a day to 600,000 litres a day, according to Bloomberg. Also, Dutch company Royal FrieslandCampina NV acquired a 51pc majority stake in Engro Foods in December 2016 and is considered amongst the largest acquisitions in the consumer sector of Pakistan. Inner Mongolia Yili Industrial Group set up its first overseas plant in New Zealand in 2014 and is the largest dairy producer in Asia and the eighth largest globally. The state-owned Yili started off as a small dairy-product processing factory in Inner Mongolia in 1993. The Chinese dairy giant is working in tandem with Italian dairy titan Sterilgarda Alimenti and with European research and development centre in the Netherlands, the 1st such overseas facility for a Chinese dairy entity. 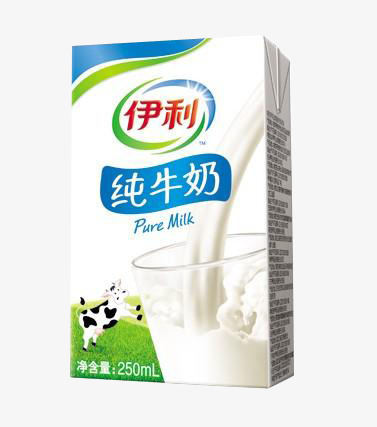 Inner Mongolia Yili Industrial Group Co., Ltd. produces and sells dairy products in China and internationally. The company offers liquid milk, milk powder, yoghourt, and ice cream, as well as milk tablets, soybean milk powder, and milk tea powder. Fauji Foods Limited processes and sells toned milk, milk powder, fruit juices, allied dairy, and food products in Pakistan. It offers dairy products, such as flavoured milk, butter, whole pasteurized milk, and UHT milk; and processed dairy products, including skimmed and full cream milk powder, UHT cream, and cheese. 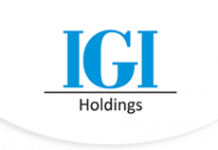 The company also provides fruit products. It markets its products under the Nurpur brand. Fauji Foods shares were trading at Rs33.55, down Rs0.33 (-1.06%). 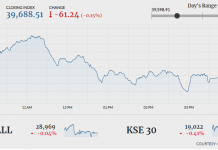 KSE-100 index was trading at 41,627.35 points, up 12.96 points (+0.03%) at the time of filing this report.